What makes women start businesses? After all, who doesn’t want to be sitting on a beach on a Wednesday? The key to starting a successful business is a strong like-minded community that will inspire you, and accountability partners that will keep you focused. 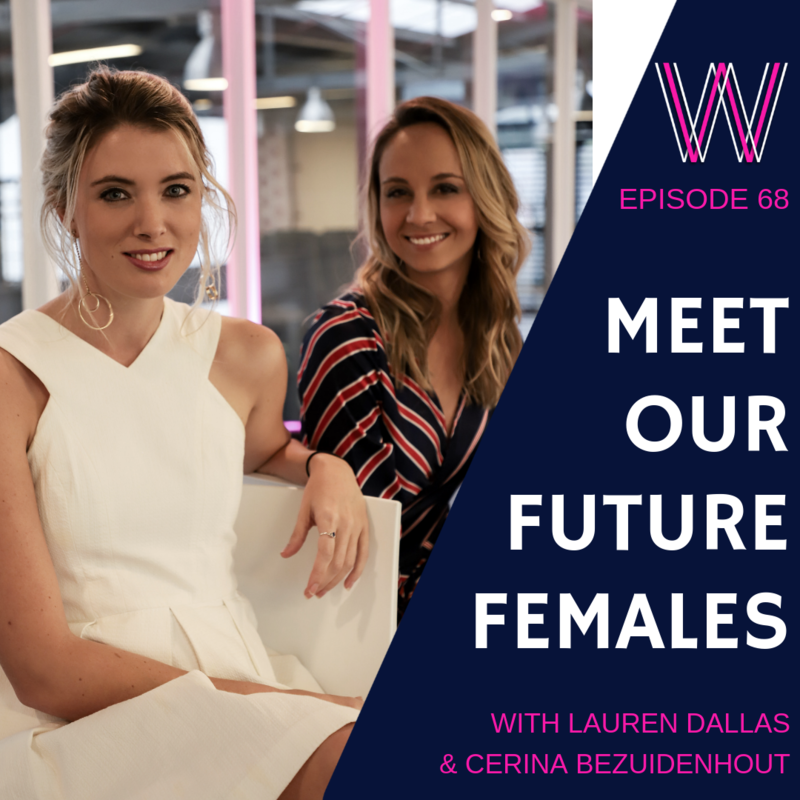 I chat with Cerina Bezuidenhout and Lauren Dallas, co-founders of Future Females – a global community of female entrepreneurs and intrapreneurs. With over 10 chapters, 9000 members and 231 contributors, this MOVEMENT is to be reckoned with! The BIG global problem that Cerina and Lauren want to solve! A lack of female founders and participants in tech start-ups and accelerators. Measuring and tracking the impact female entrepreneurial development. All women have four resources at their disposal – time, energy, relationships and money. Future Females organic success by continually testing and co-creating their offering. The vision and mission – increase the numbers and better support entrepreneurs and intrapreneurs. Providing a platform of business creation, revenue creation and lifestyle creation. The ability to create creators! Agile and lean business start-ups and traction. Done is better than perfect. Just take action! Connect with Cerina and Lauren on the Future Females website and sign up for their business school’s next intake. If you enjoyed this podcast, you will enjoy listening to imposter to influencer, your money type and building resilience. Lisa: 00:09 Hello everybody, and welcome to today’s episode of Working Women’s Wealth. I am joined today by Cerina Bezuidenhout & Lauren Dallas. They are the co-founders of Future Females. Hello, and thank you for joining me today. Cerina: 00:36 Hi Lisa, great to be here. Lisa: 00:38 Tell us a little bit about your story and why you guys founded Future Females. Lauren Dallas: 00:46 Okay, well, I can start. So Cerina and I actually met in 2017, just three months before we launched Future Females together. Maybe ill-advised, but it’s obviously worked out well for us so far. I’m originally from the UK and Australia and I moved to Cape Town to, I guess be by the beach, have a different life. But I started working for Techstars, it’s one of the leading global tech accelerators, they partner locally with Barclays on a fintech accelerator. So, I started working with them, and so did Cerina. And it was an amazing, powerful program. But what we noticed was a severe lack of female founders, or actually female participants at all. So the program locally had 80 people involved from all around the world, not just South Africa, we had people from the States, and Hong Kong, and through Africa as well. And then we have two or three women out of the 80, and not one of the companies had a female founder. So, obviously, we weren’t particularly happy with this, and when we looked at some of the reasons why there were, you know a number of reasons, there were cultural reasons, there were less applications from women, the quality was less, but really I guess lit the fire under our bellies to want to do something and to change this. And so, you know, we launched in Cape Town, the day after Techstars ended, which perhaps again was ill-advised, because the last night of an accelerator is quite a party. But it just, it went really well, and then obviously, as you know, we’ve grown globally since then, so it’s not a Cape Town problem, it’s not an Africa problem, it’s a global program that we’re trying to solve. Lisa: 02:19 That’s fantastic. And Cerina, how was your experience in terms of starting this? Cerina: 02:25 So, as Lauren said, we met at Techstars. And I had just left my corporate job, deciding to move into this entrepreneurial space. One of the things that we also noticed and why we started was obviously you’ll know that there’s so many other organizations trying to support females, and female entrepreneurs, and we went to all of that. And all of these organizations are really good, and you know today, we work together, with them, definitely. But there was just like something that we were like, you know, this isn’t exactly what we would want to go to. Before we started, we were like, let’s try something that we would want to go to. I think then also one of my surprises was how Lauren and I just kind of did things and tasted it. So we were like, you know, so let’s just try it. If it fails, or if it doesn’t work out, it doesn’t, but let’s see if people really want it. And we decided from the beginning that we wanna be very community-focused and full the community needs. And, you know, even from the first events and the first six months going through, we always went back to the community, we’d go like, “What do you want to talk about? What do you want to learn?” And that has pretty much shaped where Future Females has moved into 2018, and where we are in with our goals in 2019, which has been very exciting. Lisa: 03:36 I think that’s fantastic because I think it’s one of those challenges that so many people have is that you start off with a view of what it’s supposed to be, and get too hung up on that view. But you guys started with trying to create something you would like and then I guess changed it and adapted it as you started building the community of women. Lisa: 03:58 You mentioned that you had started to look at 2019. What is your big vision for Future Females? Lauren Dallas: 04:05 So it’s great timing for this question. Lauren Dallas: 04:09 Cerina and I just spent the whole weekend, essentially on our strategy, but we really spent most of the time talking about our vision and mission. And so, our mission, our stated mission has always been to increase the number of and better support the success of female entrepreneurs and intrapreneurs. And so we were really challenging ourselves. what does this mean? And so our vision is to create creators. We want to just support our community with all of the skills, both technically, emotionally, and physically, that they need to succeed with whatever it is they want to create. Whether it is a startup, whether it is a project within a business, whether it’s a family or a better community around them. So I would say our vision and for 2019 is really to focus on creating creators. Lisa: 04:54 And what does that mean in practice? So how do you help support creators? Cerina: 05:01 Going into 2019, we have, I wanna say four type of offerings. We started and it’s still a very big part of our business and it probably always will, with these offline events, where women can come together and meet each other. We know that women are social creatures and we like to talk to each other to touch and not I mean like touch, touch, but like even if it’s just emotionally touch each other’s souls. So, the women really enjoy coming together, meeting each other, sharing stories, and then actually starting conversations. So that’s the one thing that’s holding this offline community. We have then recently also launched the Future Females Business School, which has come partially out of our offline community, but then also on the online community, we’ve grown to about 12,000, maybe now 14, I’m not exactly up to date with January’s stats. But an online community, too, so it’s now these women that meet each other physically, but they also, they pop questions into the Facebook group and they go like, you know, “I wanna launch a website, what should I use? Or what do you recommend for podcasts?” Which has made them get to know each other, too, and then sharing their goals, join the Future Females Business School. So that is now also a community. And so the offline and the online. We’ve also then started partnering with corporates, where we help them also develop internally, so that’s another product that we use. And as Lauren said, you know, focusing on also the intrapreneurship development so if that’s a product you wanna start or do, or just a culture change and awareness within your division that you work. So we also have this focus of either supporting a corporate internally, where they do this, or if they want to focus on, say, less fortunate women in South Africa to help them, how do we reach this? How can we grow them? From the learning set we’ve taken. The fourth one is. I don’t know, Lauren, can I share about The Growth Academy joining Future Females? Lauren Dallas: 06:56 Sure, why not? Cerina: 06:58 This is kind of new, I’m very excited. Lauren has a very big following, she’s an expert in social media, and she’s built a very strong business, The Growth Academy, on the side. Also, exactly at the same time as Future Females, which is just amazing. And recently, she decided to be able to focus on one thing, she’s bringing it under the Future Females umbrella now, which means that on the social media side, there’s a lot of possibilities, too, you know? Social media is such a big thing, the marketing, the communication, and that again also is for people that wanna start their business, but it can also be for corporates that want to use this tool better. Lauren Dallas: 07:34 I think something communities often struggle with is really measuring the impact. Are we moving the needle, as a community, for females, in their businesses or in their careers? And it’s very hard to track not just for us, but all communities. And so, I mean Cerina mentioned that we really are community driven; we’ve done a lot of surveys, partnered with Startup Grind to have a global reach last year in the survey we did, and identify what are those areas that we can practically support people, whether it is through our events, or online offerings. And we now base everything we do at Future Females on a framework, which is our fundamental belief that all women have the same four resources available to them. The time, the energy, the relationships, and the money. And so now every month we have a different theme. So, for example, this month is getting started. Globally, our events all follow the same theme, our guest bloggers all post on the same theme, we create online masterclasses, and then moving, kind of the social, and most skillset programs from Growth Academy under Future Females, and opening that up to our coaches and consultants in our community as well, just made a lot of sense, and we hope will help us move the needle more quickly. Lisa: 08:45 So, in your research and in your experience of running this, what are the reasons that there aren’t as many women entrepreneurs? You mentioned that were only three in your accelerator program. Why is that so? Lauren Dallas: 08:57 So, there are a lot of reasons why women start less, but it’s not just the start rate that’s an issue, it’s also the dropout rate. And from our own survey with Startup Grind, some of the biggest challenges, the three biggest, the first was mindset and confidence, which is interesting, because when we started, at least my own personal view was that it was the technical skills gap that we should focus on. But really, from the survey, from all the co-creation sessions, we’ve realized it’s a lot more internal. Like your mind is your most powerful asset and I think women, as entrepreneurs, are not as confident to take that first step, to take the risks. The second was access to support structures and role models. There are less women you can look up to, who have been successful as entrepreneurs, which I guess again links back to the first, so you then have the confidence to take that first step and can follow someone else’s path. And then thirdly, it was access to funding in capital, which particularly in South Africa, is a huge issue, and it’s something we would like to aim to solve with Future Females, not in 2019, but in 2020 and beyond. That’s through our own survey. We then also obviously draw a lot on more global research and there are a lot of issues that are more systemic, like, you know, the traditional role of women, and the structures of the decision makers when it does come to funding, or accelerated programs, and things like that. Lisa: 10:22 And so, how do you see this playing out? If your la la land dream or vision of Future Females was to materialize in five years time, what would happen? Cerina: 10:34 As Lauren said, we spoke about our vision and mission so much this past weekend. And the one thing I said to Lauren and she just completely agreed with it is, the thing that makes me and Lauren the happiest, if someone comes to us and say, “Thank you, Future Females, you gave me the confidence to start this, or to do this.” Everything at the end goes down to confidence, even if you grow to systemic stuff, everything boils at the end down to standing up and stepping out of that comfort zone. And if we, as Future Females, with everything that we do and try to do, to change the needle, can give women confidence to step out of comfort zones to stand up for themselves, to negotiate better, to start things, to have a great lifestyle, the life that they want to have, that would make us happy. Lauren, I’m just speaking on your behalf. Lauren Dallas: 11:26 No, I mean, I absolutely agree. I think coming from my growth market background, I also am aiming for, you know, massive numbers of the community to have a presence in every country where we’re needed, but it does also just boil down to this confidence. I think what we’re trying to create on our network side is really a self-sustaining community. So, for example, our New York chapter will fund and fuel our Bangladesh chapter, and so on, and so on, so we can grow this massive global community, but then really move the needle, both in the personal side like Cerina was talking to, but then also in line with, you know, kind of our creative vision. We’re tracking and really aiming for things like job creation, revenue creation, lifestyle creation as well. Actually, I was speaking to someone from our Future Females Business School. We’re doing wrap up calls with everyone that came through the first cohort now. And she said yesterday, the biggest thing she got out of it was our finance module. And she has now appointed a financial advisor, and she had the confidence to send a proposal out for what she thought she was worth, which was three times what she was sending before, and they accepted it. So she was on top of the world, and her financial advisor said, you keep this up, you can buy your own house in four years. That is a beautiful and tangible story, and it’s really that, that we’re aiming for, for everyone. Lisa: 12:44 So you’ve just recently launched your first Business School. And your aim is that over three months, you would help people to startup their businesses. What was your biggest learning through the whole process? Lauren Dallas: 12:58 It’s been a dream for a long time to launch the Business School, it’s what we’ve been working up to since we started, we always wanted to have this online measurable offering to complement the events and better support our members. We launched it with about a month’s notice. I was one day just sitting down with the team, doing mapping out our plan for Q4 of 2018, and I was like why don’t we just launch our incubator now? Why don’t we go into it? We’ve got three months, we can run it, we can finish it by Christmas. And we all kind of looked around and there were, not excuses, but a few kind of rationales coming through for why we should wait. And I just said, are we just making excuses? Why don’t we just do it? And we did, It was amazing; we had 44 women come through from 11 countries. Obviously, there’s a lot of learnings, a lot of improvements for cohort two, but my biggest learning, and something that Cerina and I guess really value in ourselves and our team, is just take the action and just do it. So, now we started 2019 going into cohort two, we’ve already got a waiting list of 70, which is so much further along than I guess if we lead ourselves doubt, or get into planning instead of action mode. So that would be mine. Lisa: 14:06 That’s fantastic. And Cerina, what was yours? Cerina: 14:09 Hmm, I must give a lot of credit to Lauren, the Future Female Business School was her baby, and she ran it completely, I’m just going to leave it at that, yeah. Lisa: 14:18 Okay, no problem. Now you’ve got all these people, and they’re going through this course, and you mentioned that for one it was the finance piece. What were the top things that bubbled to the surface that the women were really kind of needing and that your course provided? Lauren Dallas: 14:34 So, from a technical standpoint, there were I guess three of the modules, so we had 12 modules over the three months, that really validated ideas, so the build, then sell, which was commercializing and really testing your price point so then there is a market for it, and then setting up to scale. So it’s essentially from idea, to plan, to scale. We actually had people in it who had been in business for three years and were kind of at a pivot point, so it was interesting to see those two parts. From a technical perspective, three modules were most the valuable, from the feedback we’ve had. The first one, which is really where we introduced an agile approach to business planning. I think a lot of people and women get stuck in planning because it’s easier, it’s risk free, and we hide behind this guise of perfectionism as a reason to not take the first steps and put ourselves out there. So I think module one, where they were really challenged to just document your plan, in a day, ’cause moving on to execution was jarring, but useful. The second module was the branding. So we tempered every module with personal development skills, as well as technical development. So, for example, in branding, the core content was around branding for your business, but we had a guest expert, an amazing coach from Brisbane, who talked about personal branding. And we got a lot of really good feedback on that, how you can define both and build both at the same time without losing track of one or the other. And then the third was, as I said before, the finance module, which I personally, and I’m sure a lot of people, put on the back burner, because it’s not as fun. And it’s a little, again, jarring sometimes, to see how you’re really performing. So I think that was also really good, getting the foundations in place to grow profitably, and track your results. Lisa: 16:17 So you mentioned that access to funding and capital is one of the big challenges, and I guess this finance piece works into that. How do you think that one can unlock this access to funding? Cerina: 16:32 Well, I think Lauren and I both have some opinions about it. Through this journey, there’s a lot of people that go like, you know, “We’re so inspired, we just want to quit our jobs and start our business.” And Lauren and I, you know, from our learnings and also working with entrepreneurs, one of the things that we would say is don’t just jump, you have to have some cushion, or some support behind you, or to fall on. No, so if you do want to start your business, either start it as a side hustle so that you can prove your idea and maybe make some money before you just leave your job, and don’t have any income, and there’s so much stress that comes with it, and you can’t really scale your business as you want to. So, think about some self-funding, that’s the way to do it. One of the other things that I also kind of appreciate is we have this idea that women do this alone, and they don’t. There’s always some support. So I actually want say to women, if you think you need to do it alone, and it’s not happening alone, don’t beat yourself up about it. No one actually does this alone. If there’s a partner that allows you to go for three months and live your dream because they can, with your savings and with their income, help you through this stage. I also think then there’s definitely funds out there, I think we just don’t know about them, Lauren and I can definitely take this an example for ourselves, also, there’s so many things that we don’t know, and funding is almost something you have to focus on, it’s like two hours per day needs to be just on funding research, what’s out there, which are the VCs, or the funds, or if you’re an NGO, the companies that’s willing to give money. Do your research, get your dicks right, and you are selling, so make sure that your selling skills are also good. So, who do you need to talk to? Build a relationship. Because the funds are out there. I have so much more to say, but Lauren I’m going to just leave it to you ’cause you wanna add to that. Lauren Dallas: 18:19 No, I would agree, I would say when it comes to solving that problem, if access to funds, right now what we’re doing, as Future Females, is really an education and visibility space. So as Cerina said, how can we just help people find those pathways? That’s also what we do in Future Females Business School. The Business School is very much focused on building a profitable business, rather than a funding ready business. Some people, of course, might go on to get funding, but the types of business that can be funded, particularly when you’re thinking about the VC world, a lot of women are not building those types of businesses, and they don’t have aspirations to, which is perfectly fine. They wanna build lifestyle businesses. So everything in Business School is focused on profit, but then we have those pathways through to partners. So we feed the top people from the Business School through to VCs in our network, to accelerator programs in our network. So right now we’re not trying to do it all. But if I can maybe share our pipe dream, Cerina can I? Lauren Dallas: 19:19 So our goal for Future Females, say 2020 and beyond, would be to set up our own fund. And there’s a number of different ways we could this, but we also really want it to be community driven and collaborative. So one idea would be almost equity crowdfunding our fund, so people would buy into a part of Future Females, and then that part of Future Females would seed fund other women from the community. So if you buy into it, you’re technically buying into hundreds or thousands of other female entrepreneurs and helping them get their start, in creating this virtuous cycle. But that will not be in 2019, but hopefully not too soon after. Lisa: 19:57 Yeah, that’s fantastic, I mean you’ve gotta have a vision and a progress, but at the same token, deliver today and meet the needs today and grow with it. Were you always entrepreneurs? Or has it been something that you kind of stumbled across? Cerina: 20:10 Lauren is my biggest motivator, and my biggest role model, that I can say for sure. Everything that you read about an entrepreneurship be, Lauren is definitely that. She works incredibly hard, and then she also tries things, you know? She has so many ideas, and every time she wants to try something, and I wanna go like, “Wait, let’s just map this out quickly,” I think about that’s exactly what the startup world says, you know? It says try the idea, it can fail, but at least try it, taste it, sit and take the learnings, and move on from that. So I must say I actually stumbled upon on it, yeah, I must say Lauren is the best partner to I have stumbled upon it with. Lauren Dallas: 20:52 But I think in saying that, Cerina and I, even though we had only known each other for three months, and actually in that three months, we haven’t worked together much at all. So we’re lucky that we get along so well, but we’re also lucky that we complement each other so well. My background is not so entrepreneurial, but it’s e-commerce, at least, so I’ve worked with eBay, and Groupon, and then for startups. And Cerina’s was in lean startup, continuous improvement operations, so we really do complement each other well when it comes to skills. When it comes to the two sides of our business as well, me focused on online, and Cerina on the network. But also when it comes to decisions, it’s really helpful to have both perspectives. Lisa: 21:32 So for many people, I mean I know for myself, I never saw myself as an entrepreneur, how do you help people in terms of their transition, you’re going back to the mindset and confidence. They know that they want a different life and they want to create something that’s different, but they have always seen themselves as an employee, and not as an entrepreneur. How do you support or how would advise people in terms of that mindset and confidence to make the transition? Lauren Dallas: 21:59 I think there’s a lot of glamour that’s been given to this word “entrepreneur.” But really, you’re an entrepreneur if you’re selling apples on the street, you’re an entrepreneur if you’re working your day job and buying vintage clothing and selling it through Instagram on your evenings, up to, you know, the Facebook founders of the world. So I think it’s something a lot of people aspire to be that founder, to be that entrepreneur, but it’s really, it’s none of that, it’s not glamorous, it’s just action that you take. And so, I would say take the first step. And again, one of our values is take action, just do anything, do one small or big thing every day that gradually moves you in the direction of having that life, no matter how small it seems. If you do one thing a day, it will stop feeling less threatening and you’ll get there. Lisa: 22:45 Cerina, your thoughts? Cerina: 22:48 I think that’s beautifully phrased, actually, Lauren. I can’t actually even add to that. Lisa: 22:54 So when someone comes and they join Future Females. You talked about the kind of in person events. A lot of the time, those in person event are great, you get to meet a few people, but it doesn’t create a depth of relationship. How do support those first meetings? Cerina: 23:12 I’m going to jump in there, and Lauren, please interrupt me if you want to. Lisa, to be honest, it’s kind of difficult, building community, it sounds easy than it is and we often go back and say, you know, did we have an impact? Or are we just motivational for three hours, and then it lasts for three days, and it’s forgot. And also events take time, so people can’t really always commit to it, so there’s not people that come back. One of the things that, in the beginning, we actually ask it at every event that we are. We ask people whose here for the first time? And whose people that has been here before? And it’s always nice to see that there’s some people that come back. We were very concerned about it, and one of our mentors said to us, you know what, it’s good that you have both and you should have both, because newcomers are growing your community, and then you have the loyals, it’s for any project, actually it’s like that. We tried to report on who do we know met each other. And these are also new things that we kind of implemented because we now, you know, challenging ourselves to better be able to tell these stories about the impact that Future Females have. So, we want people that we know meet each other on a night, what did they do with that? And at the end of August, our year ya, not our financial year. We did this survey and we asked the people, you know, tell us the impact that Future Females has made? And it was wonderful to know at a stage there was a lady who does catering. And she met up with someone from a corporate, and today she’s actually servicing that corporate, she does all of their canteens. Or there was a lady that, she’s actually a hustler, she does something on the side, she makes clothes and sells them. And she also met someone at a Future Females event, and she did a workshop with them. And so slowly but surely, this is how we’re trying to monitor the impact. We’re meeting each other, how they’re meeting, we also have follow-up questionnaires which we send out. And it’s so difficult because people don’t always want open a newsletter, or they don’t want to answer a survey, they think it’s a lot of work. But in that we try to also determine how did this improve their lives? Who did they meet? What was the impact? And now since December, we also are very, I wanna say passionately focusing on getting community interaction. So we try to have people talk to each other around a topic, if that would be in our newsletter, or in our Facebook group. Lisa: 25:28 That’s fantastic. If you look, as you said there’s many different organizations, et cetera. And one of the challenges that we have, as a society, all around the world, but particularly in South Africa, is around the need to try and bring in entrepreneurs in underprivileged areas. Have you guys started to think about how to help support that? Almost the philanthropic side of Future Females? Cerina: 25:56 Yes, we have, Lauren will tell you about it. Lauren Dallas: 25:59 It’s a great day, too, to talk about it. We absolutely intend to, and for our first year, it was I guess quite organic. So, obviously we charge for tickets, but we also work with partners who do have an audience in underprivileged areas and offer them free tickets to the events. So, they can at least come and be present and make those connections, like other entrepreneurs do. But we also held an event in Khayelitsha at the end of 2018 and today appointed a Khayelitsha Ambassador, who will now run and build the movement locally there. And we’d like to obviously expand that out into other areas, across South Africa as well. On the online side as well, the Business School is a charged incubator. We built it ourselves, we funded it ourselves, and you know there’s a lot of value in it, so of course we charge for it. But we do offer sponsored sports. In our first cohort, we had a few first sponsored spots that we self-funded, and now we’re working with partners to sponsor, within their industry, entrepreneurs from underprivileged backgrounds to go through our cohorts. We’re working on bigger partnerships with, you know, government organizations, who could put full cohorts, say 50 or a 100 entrepreneurs through at a time. So it’s a definitely big focus for us, too. Lisa: 27:15 And what do you think the biggest barriers for underprivileged people in terms of accessing the entrepreneurial space? Lauren Dallas: 27:24 Well, there’s a few. So, from our research with our community, transport, to get into actual physical events. And most of the communities that are housing them outside their own areas is a challenge, and an expense. The second is data, being able to access and go through an online program, participate in the virtual webinars and masterclasses, that can also be an issue if you don’t have a centralized place to go to. And then, I guess it also just comes back to what we were talking about with confidence, it’s a very, I mean, I can’t speak from any experience, but it’s a very different context to come from, culturally, when it comes to entrepreneurship. So, I think the mindset and the confidence again is really important. Lisa: 28:05 You mentioned the difference between lifestyle businesses and growth businesses. What for you is that difference? Lauren Dallas: 28:14 So the distinction I would make is a lifestyle business versus a fundable business. Not necessarily growth, I think you can grow both. 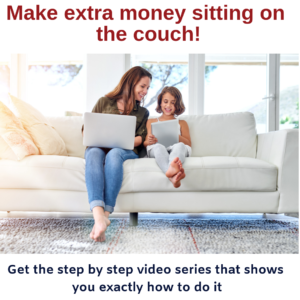 A lifestyle business for me, and when I think about it, it’s something that is profitable and lean, at least when you start it. So, for example, The Growth Academy is a lifestyle business, it’s something I self-funded, I started, it was a team of two, and I grew it organically, reinvesting profits as I made them, and that’s how it grew. Whereas something like a Facebook, obviously, it’s probably still far from reaching profitability and they require that funding, and I guess that weight, of resource, to operate. So, I am a big proponent for lifestyle businesses. My personal goal is to be sitting on a beach with a cocktail in my hands on a Wednesday, just checking in on my business on my phone and seeing that everything is still going well. As opposed to being CEO of my own company and having a thousand employees under me. I don’t either is wrong, but that’s how I see the distinction. Lisa: 29:17 Yeah. And are the most the people that you’re coming across, are they wanting to create lifestyle businesses or funded businesses? Lauren Dallas: 29:26 We definitely have a mix. For example, we had five of our community members who are in the top 50 South African female entrepreneurs to watch last year. I think two of them have raised funds, and three are what I would call lifestyle businesses. So, it’s definitely a mix. Lisa: 29:41 Are there strategies that they’re needing? Are they different? Lauren Dallas: 29:45 I think when it comes to what we teach in the Business School, we teach really the agile lean startup approach, which works for both businesses. We’re helping people get to the proof point, where they can either then grow and reinvest profits, or they can show that they’ve had some traction, that they’ve proven their idea and then it makes sense for them to go and try to raise funding. Particularly in South Africa, people want to see revenue, not just growth and traction, in order to invest. So the Business School side, the technical skill is quite similar, because it’s very early stage. 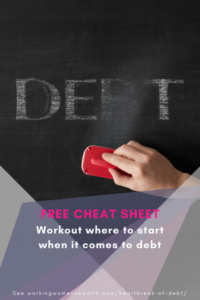 As their businesses evolve, obviously if you’re looking for funding, you need a funding strategy, and sales, and pitching skills, and other things that you might not need if you’re a lifestyle business. Cerina: 30:30 Yeah, I think someway, and it’s quite early on during your process, you have to decide what kind of business do you want and we call it “The Exit Strategy” ’cause it depends then, if you do scale, how do you scale? I mean in lifestyle business, as Lauren Said, it’s most of the time a smaller business, it’s one or two or three people, and you don’t need to be hands on, or physically there. Where if it’s like a fundable business, you wanna scale, you wanna become really big, and your valuation must be big. I don’t think people always consider that they have to make a decision. And it’s actually a big decision to make, like what do you want? Lisa: 31:06 And what do you think forces people to make that decision? Cerina: 31:10 I think it’s a personal decision, like what type of life do you want? I think that’s number one, what type of life do you want? Do you want the life which is very comfortable? And If I can say “Lifestyle driven,” so do you want to be able to pick up your computer and work? Maybe you can, around the world. Or, and this sounds very [Instagrammy 00:31:27], but I can also think about mothers, you know? Whose building a business so that they have the income, that they can work from home, and still be able to drive their kids to sports, or, you know, that kind of thing. Where if you want to be really big like a Facebook, or Uber, or, you know, the next pick and pay, then you have to have different systems. Obviously, your supplier’s gonna be different, your products going to be different, so I think it’s almost like a legacy, it’s like legacy and lifestyle decision, what do I want? Lisa: 31:57 Wow, now you’ve grown your business enormously from, you know, a year in a [inaudible 00:32:02], when you started up in Cape Town, you’re now in many different countries. How are you guys growing this business? Lauren Dallas: 32:10 Future Females is really just grown organically, which is quite unhelpful for other entrepreneurs looking for practical advice from it. What I would say one of our biggest drivers of our growth has been the brand. I think we have a very strong brand, massive kudos to Brendan, who was also on Techstars who created the brand for us. That brand has drawn the right people to us to help us grow. So, our advisors, I mean some of them we met through the Techstars program and on networks, but a lot of them were drawn to us because of the brand, and because of our mission. Our Ambassadors have all come to us organically. You know, they fill in a form on our website that’s not even that easy to find, and that has been every chapter we’ve launched, has been somebody coming to us and saying there’s a need for this in my city, can I launch it? Then obviously we screen and upskill them and help them launch. So it’s been really organic. The Business School I guess was our biggest product launch. And we self-funded it, we did it lean, we capped it at 50 participants, and now we can grow from there. I think you know something Cerina and I are often challenge ourselves with is, we’re obviously a social organization, but we’re also a for profit organization. We believe that to have massive impact, we need to have massive scale, and to do that, we need money. So whether that’s money from selling our products, or whether we also should take a bit of a pivot and go and source some external funding to grow more, and specifically the online offering, I think that’s something that we’ll be considering in the next few months, too. Lisa: 33:41 That’s fantastic, I mean, it’s a huge growth for the two of you and I really do applaud you. How would people get in touch with you? In order to learn more, join your community, start chapters, how would people get hold of you? Lauren Dallas: 33:53 I mean the best thing is to just go to our website and it’s futurefemales.co, and you can see everything there, so you can then click into your chapter, click into your city, and see when the next event is, see who your local ambassador is. If we’re not in your city, then you can open a chapter. It’s just a simple form to fill in. Come straight to me and Cerina, we screen all of our ambassadors ourselves, from day one. So you just fill in that form and then we’ll reach out to you and talk to you through, you know, the process to launch. Our Business School as well. If you’re interested in that, is also on our website. And right now we are in wait list phase, we’re about to open applications for cohort two, which will kick off in February. So, absolutely, come and sign off and join us in that, too. Cerina: 34:41 Yeah, also I can just mention the Facebook group. It’s a closed group, but it’s also really nice to be part of that, the interaction, you were able to ask questions, all the events are also listed, all across the world. It’s also listed on the Facebook pages, too. So, maybe join that too. Lisa: 35:00 Well, that’s fantastic. Thank you so much for joining us. And I mean I belong to Future Females, so I think it’s wonderful, and I really encourage everybody out there whose listening to join, and just to get part of the community. Cerina: 35:15 Thank you Lisa, this is really great. Lauren Dallas: 35:16 Thanks so much for having us. Cerina: 35:17 Yeah. And wishing you a great 2019. Lisa: 35:20 That was Lauren and Cerina from Future Females. I’ve always said that there are number of key elements to success. And for me, one of them is community and accountability. So, absolutely wherever it is that you are in the world, join an online community, or one like Future Females, where you’re able to meet in person, especially if you’re thinking that you’re alone in this journey because none of us are alone. There are always people out there, and there’s lots of different groups out there, that are able to meet your needs. Take care, and have a great day.